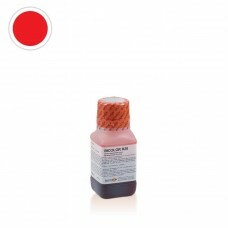 BICOLOR R20 RED MASKING LACQUER SOLUBLEBICOLOR R20 is a special masking paint used in the galvanic field for two-color effects. 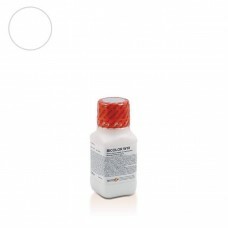 This masking paint is resistant to both acidic and alkaline galvanic solutions, at a maximum temperature of 70 ° C. The application is done by brush or reed; the drying ..
BICOLOR W10 WHITE MASKING LACQUER PEELABLE OFF & SOLUBLEBICOLOR W10 is a special masking paint used in the galvanic field for two-color effects. 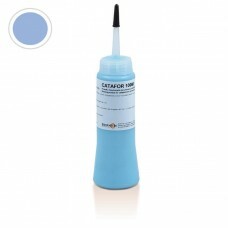 This masking paint is resistant to both acidic and alkaline galvanic solutions, at a maximum temperature of 70 ° C. The application is done by brush..
CATAFOR 100M LIGHT BLUE FOR MASKINGCATAFOR 100M is a special masking paint specially developed for multicolor effects with cataphoretic paints.General characteristics: Metal / Type Painting Precious metal -- Color Light b..